How can God love me? I don’t love myself sometimes, how can I know that even when I am at my worst, God still loves me?There is no such thing as a person God no longer wants. You are loved in a unique way, God’s way because you were created in a unique way. God loves you because you, are you. There is not one thing about you that is an accident. He knew you intimately before you were born because He was responsible for creating you. He carefully and intentionally wrote your life story and knit you in your mother’s womb. This is not a call to action to change one single thing about you. This is a call to rest in the knowledge that you are loved for being uniquely and wonderfully you. It is as simple as that. 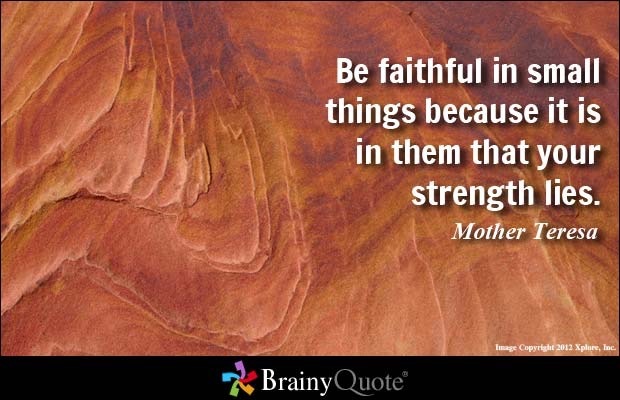 God is faithful, this is a wonderful thought and one we should take great comfort in. However, in a sick and twisted way, Satan is faithful also. This is something we should remain in high alert against because Satan is faithful in his desire to seek ways to gain access to our lives and destroy what God has done. Satan is a master at playing your trusted friend. The minute things go wrong he is right there. He is asking, “where is God now?” He has deserted you and left you to figure this out on your own. You can look for him but you will not find him. I told you, God won’t help you. We must stand ready to fight Satan when he tries to infiltrate our lives because I can guarantee you, he will try. Be on guard, be watchful and attentive. Be the person who maintains the attitude that the enemy will never gain entry into your life. Be vigilant and committed to stand against Satan over and over. Be aware and working against sneak attacks. Pay attention because Satan is sneaky and he is faithful to his cause. He will set friends and family against you. He will slander you and use deception to draw you to those things that will destroy you. He will use you, against you. Don’t listen to the lies flowing forth from the tongue of Satan. He is at war with anyone that believes and loves God. Rest in the fact that we serve a redeeming God. Don’t fight Satan alone, it is impossible, rather set your eyes on God and don’t take them off. Be obedient to God, be diligent and aware that Satan will try to outwit you. The stronger your faith, the greater the battle he will wage. Satan might be faithful but God is more faithful to you and He loves you. That is the fact that makes all the difference in the world. Stop believing Satan, don’t stop believing God.